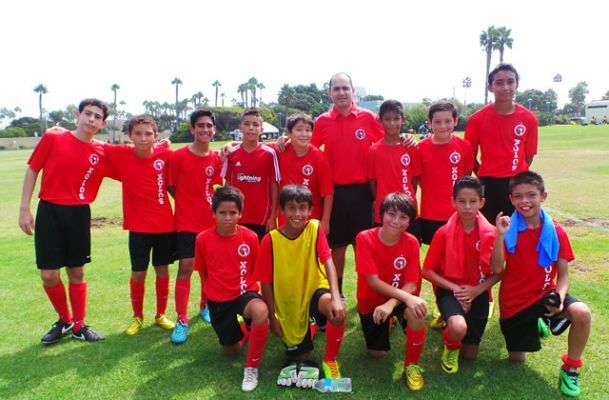 CHULA VISTA –Xolos Academy FC returns to action this weekend with matches in seven categories and a handful of those being played at home at Hilltop High. One of the intriguing match ups is the Under-9 squad taking on Liverpool SC. The Xoloitzcuintles come into the match in seventh place with three points while Liverpool SC has struggled and is yet to earn a win this season. This could be an opportunity for coach Eduardo Cobarrubias’ team to gain ground in the standings. Here is a list of the remaining schedule for Week 4. We hope to see you out there. #GOXOLOS! 12:40 p.m. to 1:50 p.m.
1:30 a.m. to 3:20 p.m.